Belmopan. June 13, 2016. It has come to the attention of the Ministry of Health that a perverse video is being circulated on social media. The video features a man and a woman, purported to have diagnoses of mental disorders, being instructed to perform sexual acts by the persons recording the video. The audio on the video reveals that the couple was being encouraged in their actions only to be rewarded with a soda by the persons who were watching and recording the couple performing various sexual acts. The Ministry of Health is appalled at this assault on human dignity and is dismayed that these persons felt comfortable enough to record and share this video to further humiliate this couple and their families. 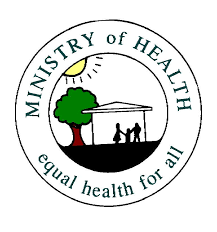 The Ministry of Health implores all Belizeans to protect the privacy and rights of all people, especially those who are made vulnerable because of physical and mental disabilities. The public is strongly encouraged to protest and denounce these types of violations of person’s dignity and rights. In so doing we can begin to change the culture of stigma, discrimination and victimization of vulnerable persons who live among us.